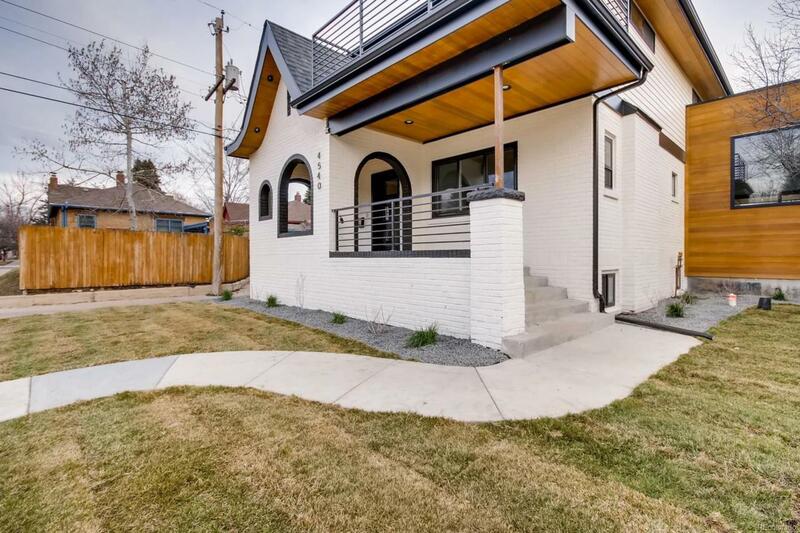 Gorgeous new home in heart of Park Hill! Blocks from Park. Stunning property. 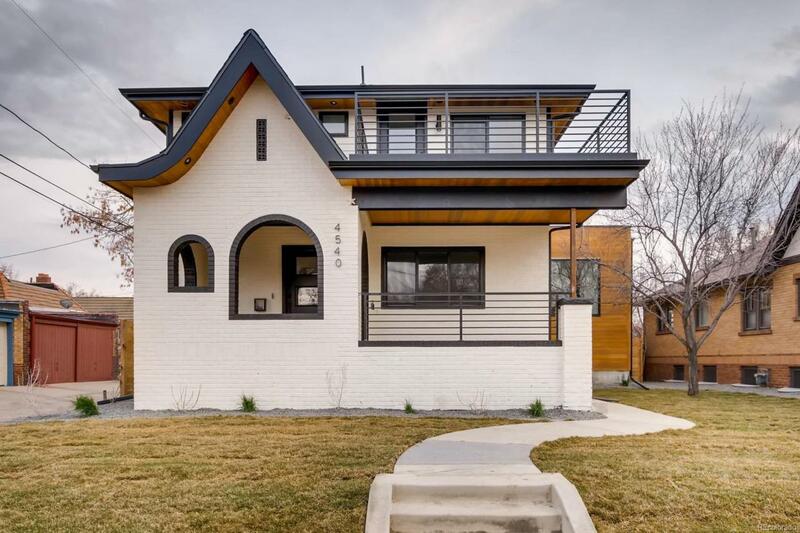 This pop top offers all new, modern amenities blended with old vintage charm to create a rare and unique homeowner experience. 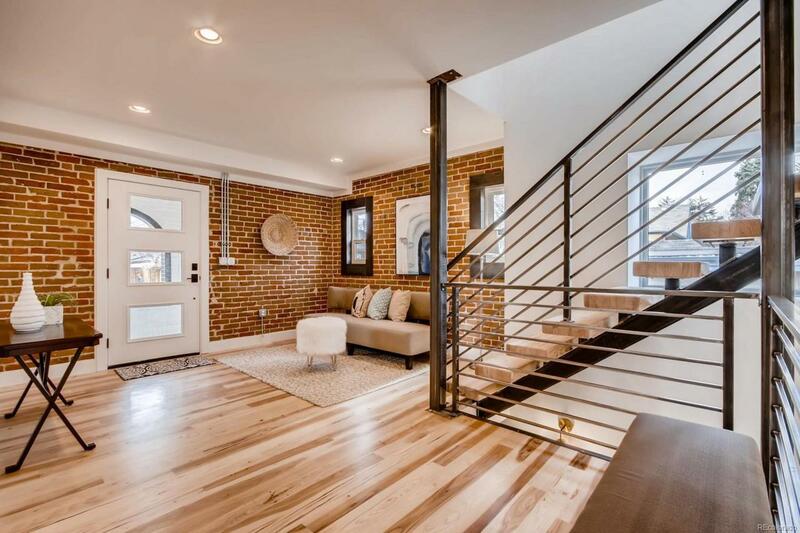 Beautiful open floor plan that has tons of character. Designer options abound, 42" linear gas fireplace, floating steel staircase with butcher block treads, euro style cabinetry with quartz tops in the kitchen, oversized kitchen island, large overhead glass door that connects your outdoor and indoor living spaces for great entertaining possibilities, back patio with BBQ gas line, custom steel and wood trim detail, master suite with shower with dual shower heads, freestanding bathtub and walk in closet, each upper secondary bedroom boasts en-suite full bathrooms. Second floor laundry. Great second floor flex space. Basement with wet bar, 1 bedroom and full bath. Nice mud room on main level. 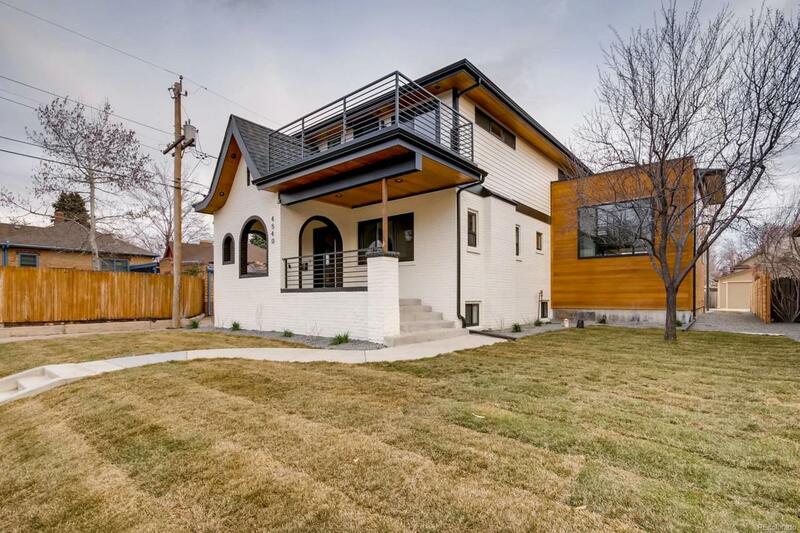 Rare 3 car detached garage. Come and see this property, it will not disappoint!